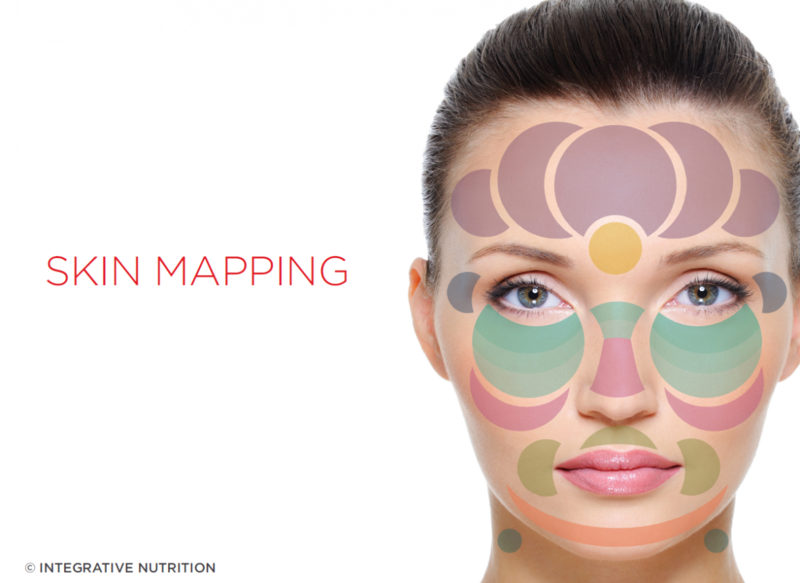 Wellness Face Mapping the real deal with pimples! Face mapping is so intriguing to me, your skin is your bodys largest organ it’s like a window into what is going on inside my body. I suffered from acne and pimples through my adolescent years and to be honest it never really went away! I tried everything from strong medications, weekly dermatologist appointments, every brand of ‘acne clearing’ products, I even went as far as completely natural and only used food on my face!! But nothing really worked, it might help for a little while, but then my skin would become so dry and scaly, red and inflamed and then a massive breakout would happen again. It really only occurred to me over the last year what my skin was trying to tell me. When I eat something high sugar my skin tells me, when my digestive system is sluggish my skin tells me, when I’m stressed, hormones are imbalanced my skin tells me. The real deal with pimples! The forehead might indicate that your body is under a little more stress than usual, interrupted sleep, increased alcohol consumption or fight or flight mode on! Try taking it a little slower, give your body some downtime. Get an early night even try meditating to let your body breathe. Did you recently over indulge on a night out, too much wine, maybe some greasy food? The forehead can show that your liver is having trouble detoxing your body and removing the toxins and excess fat consumption. Try removing sugar, alcohol, diary, caffeine and allow your body some rest and digest time to release these toxins. Increase your water consumption to assist your liver in flushing these out. I love a good detox bath with Epsom salts, magnesium and essential oils to give my liver some lovin. Similar to above, your lungs could be over loaded with environmental toxins. Get your aerobic movement scheduled, something to make you breathe a little heavier, also add in some deep breathing exercises so you are really stimulating your oxygen flow around the body. Cheeks can also be related to dental health, my absolute fav way to get step up dental hygiene.. oil pulling! Check out my post to see what its all about. Don’t forget to think about changing your pillowcase, using hands free instead of your germy phone on your face, also girls who love their hair out… it could be adding excess oils onto your cheeks. This area is reflecting you stomach health may running a little sluggish and imbalanced. Try adding some gut loving collagen, slippery elm to your diet. Super important to increase your fruit and veg intake. Another fav is to gently massage your stomach in a clockwise direction to assist digestion. You will find around your monthly cycle they may pop up around this area, if you find them at other times of the month you may find you have a hormonal imbalance that would be worth checking out. Try adding Maca root to your diet, it is great at balancing hormones. Try to steer clear of the commercial choccies… they are just full of unhealthy sugars and will increase your breakouts. I love to add raw cocao to my diet at this time of the month and reap the antioxidants and nutritional benefits! Check out the Wholesome Recipes and whip something up your body will thank you later. Its also a good idea to really give some self-love to your body at this time, try massage, slow walks, yoga and meditation. This could be an indication you are dehydrated. Up your water consumption, try coconut water as it is a natural source of electrolytes including sodium and potassium and other nutrients which are easily absorbed by the body to aid hydration. Think circulation! As we now live in a world where it is impossible to avoid polluted air and environmental toxins, it can wreak havoc on our skin, it’s just another toxin the body needs to eliminate from our body. Try getting out into nature, fresh air and a brisk walk will do wonders to get the blood pumping and improve circulation, try not to always do your cardio in a stuffy gym. Have you ever thought about adding plants into your home, they are an amazing natural air purifier, or you might want to think about purchasing an air purifier for your home, they are a worthy investment especially if you live close to a city. I hope some of these helped you identify the areas of your body that might need a little extra care and love. It’s so important we listen to our bodies and learn what is going on and what it needs and nourish accordingly. If you have noticed any changes or tried some of my tips I would love to know.